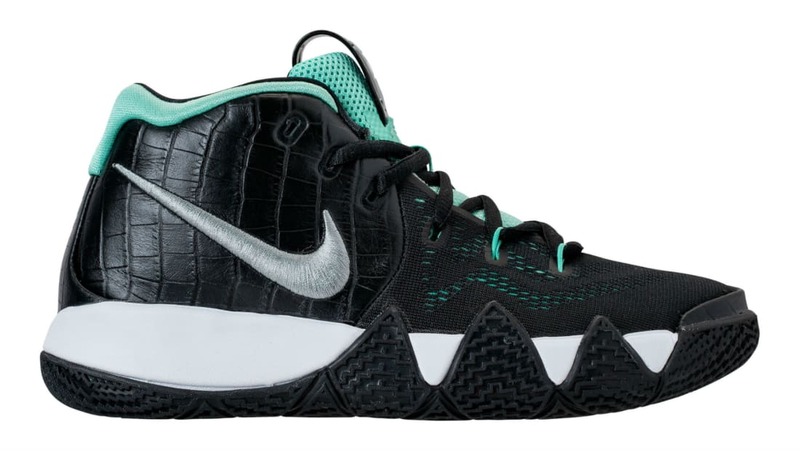 Nike Nike Kyrie 4 GS "Tiffany"
Resembling the "Tiffany" Nike SB Dunk High, this gradeschool Nike Kyrie 4 features a black and teal mesh base, faux croc-textured black heel wrap and metallic silver branding. Release date is May 17, 2018 at a retail price of $100. News Nike Kyrie 4 GS "Tiffany"